John DeSimone had one goal in mind when he founded the Outlaws travel program in 2014: prepare every player for high school baseball. The vision remains the same despite the program’s rapid growth from a couple of teams to a dozen and partnerships with Mizuno, Perfect Performance and Eric Crozier’s C5T Baseball Academy. 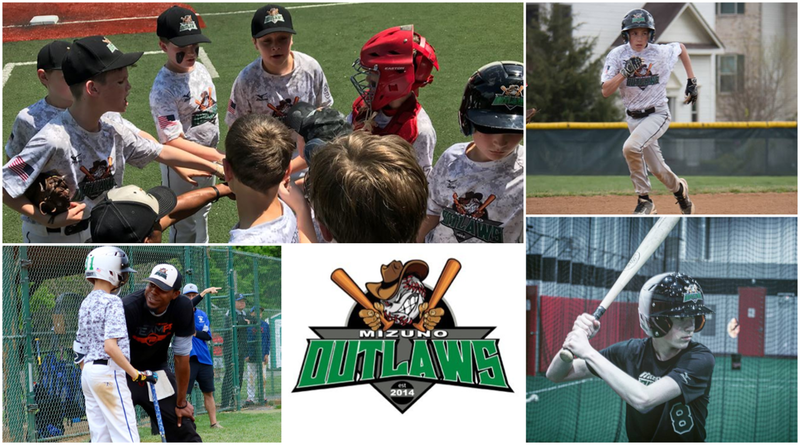 With additional resources and instructors, the Outlaws’ mission has evolved to enabling players to play at any level they desire. DeSimone hired Tyler Womer and Steve Mrowka to aid in that mission and to help handle the influx of teams. Womer has collegiate playing and coaching experience while Mrowka currently serves as the athletic director at NOVA Community College and has over 20 years of college coaching experience including eight seasons as the head coach at George Washington University. Prior to coaching, Mrowka played collegiately and was drafted by the Boston Red Sox in the 1985 MLB draft. Along with Womer and Mrowka, the Outlaws have hired several other coaches to handle all of their 8-14u teams. Even though all of their coaches have playing experience, each are hired based on their ability to develop connections and work with youth players. Building relationships with each player and creating a family atmosphere on the field or in the facility are important for Womer and the Outlaws staff. Even as the program’s numbers grow, coaches are keeping close ties with players and working even harder to make connections with every kid that puts on an Outlaws jersey. Players in the program receive coaching throughout the year with on-field instruction from various staff members, compete in local NVTBL games coupled with tournament action and access to a 30,000 sq. ft. facility at Tyson’s Playground. The facility is available to players six days a week during the season and has options for players to work with coaches on hitting, pitching and defense as well as speed and strength training. In the offseason, players can work in the facility as much as they want. The Outlaws also have access to instruction from Crozier, who played professionally for ten years, and current professional players Johnny Bladel and James Marvel. The year-round services from elite instructors allow next-level development for players one through nine on the lineup card. The coaching staff’s top priority is the development of every single player, not the scoreboard at the end of each game. Coaches strive for their team’s to be successful, however the program’s mindset is to view their success based on their ability to reach DeSimone’s original goal, not the team’s record. The Mizuno Outlaws have never settled since the program’s inception five years ago, constantly expanding and improving. Moving forward, DeSimone and staff will continue to look for better opportunities for their players and further grow the organization's impact on youth players in the community while also developing the skills needed to play at the next level. For more information on the Mizuno Outlaws, visit their website at http://www.outlawsbaseball.com.